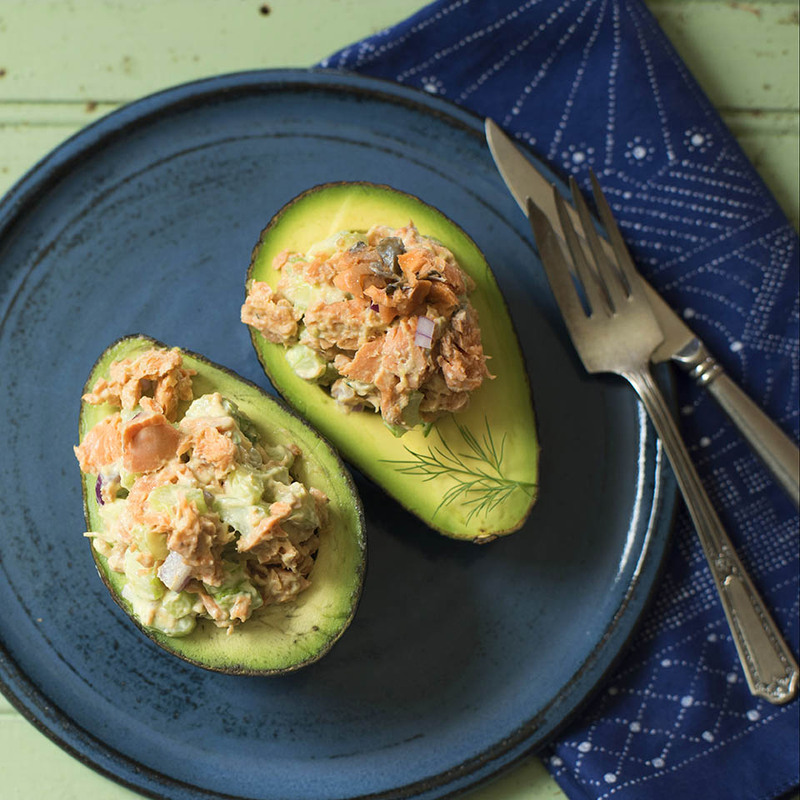 Wild Alaska canned salmon and California avocados make a wonderful summer meal. The recipe below is very versatile, so feel free to make substitutions as you see fit. Mix first four ingredients together and divide evenly between Avocado halves. Mix Vinaigrette and serve over salmon salad and avocado. ***Some additions that could be made to the salad recipe: 1. Jalapenos 2. Roasted Red Peppers 3. Blueberries 4. Nuts (Walnuts or Pecans are optimal for flavor) 5. Fresh Lemon Zest 6. Anything you think you may like or have on hand. See also: Canned Wild Alaska Salmon + Avocados; A Marriage Made in Food Heaven.